LASIK (Laser-Assisted Inin Situ Keratomileusis), also known as laser eye surgery or laser vision correction, is a surgical procedure by which an ophthalmologist corrects myopia, hyperopia, and/or astigmatism. As with all medical surgeries, there are risks involved in LASIK, and there can be legal consequences if anything goes wrong in a surgery. To minimize this risk, locate the best LASIK surgeon in your area. The most common litigation issue regarding LASIK is negligence on behalf of the ophthalmologist. Negligence occurs when a person fails to exercise the care that a reasonably prudent person would uexercise in a similar situation. For a surgeon to be considered negligent, they have tomust have injured or caused harm to the patient, but not intended meant to do so. This is what separates negligence from a more criminal charge; there must have been no intention to commit harm. Cases of negligence are usually resolved in civil courts, and the compensation is monetary. Medical Malpractice is a subcategory of negligence. In fact, it’s often known as “professional negligence.” Every jurisdiction or governing body sets forth a “standard of care” to which providers must adhereby which providers must act. If a surgeon deviates from their local standard of care and causes harm to a patient, they may be sued for medical malpractice. What that standard of care entails depends on the area in which you live—there is no universal rule. A LASIK surgeon whose actions are considered deviant in one jurisdiction may be completely adhering to the standard of care in aof a different jurisdiction. Note that it is not enough for a surgeon to simply deviate from the local standard of care. Ie—if your surgeon was deviant or negligent, but no harm was caused, you will not be un able to successfully litigate the issue based on medical malpractice.successfully litigate the issue on the basis ofbased on medical malpractice. In the United States, the manufacture of LASIK equipment is regulated by the Food and Drug Administration (FDA). If the LASIK equipment was not manufactured in accordance with FDA-approved specifications, or if the manufacturer failed to adhere to FDA protocol, and you suffered injury, you may be entitled to monetary compensation. 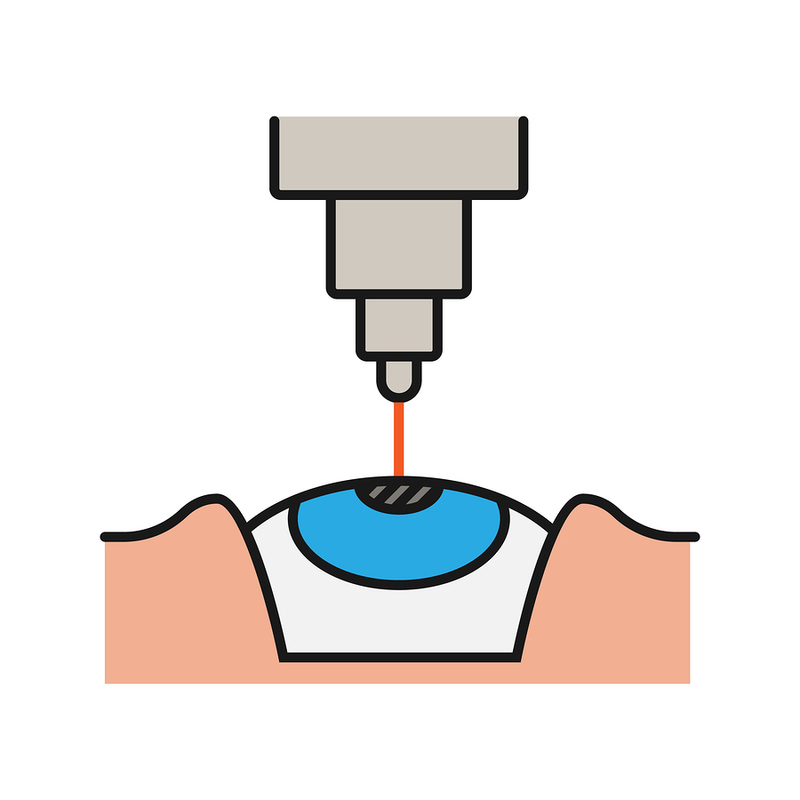 Additionally, LASIK surgical equipment must be maintained by surgical staff. This includes periodical calibration and cleaning. If the LASIK equipment is imnot pproperly maintained, and you suffer injury, you may be able to litigate on the basis ofbased on product liability. LASIK surgery, like any surgery, is not entirely without riskwithout its risks, but theose risks remainare relatively low. LASIK is one of the most common forms of surgery, and studies show that patient satisfaction is as high as 98%. Litigation concerning LASIK issues is rare, but an injury caused by negligence, malpractice, or faulty product may be irreversible. Consult with your LASIK surgeon to make sure you understand the risks and benefits of LASIK eye surgery, andsurgery and find out if LASIK is right for you. Next What’s the Purpose of a Polypectomy in Arizona?